Scheduled to launch in the mid-2020s, the Wide Field Infrared Survey Telescope (WFIRST) will function as Hubble’s wide-eyed cousin. While just as sensitive as Hubble's cameras, WFIRST's 300-megapixel Wide Field Instrument will image a sky area 100 times larger. This means a single WFIRST image will hold the equivalent detail of 100 pictures from Hubble. WFIRST will do this through multiple observational strategies, including surveys of exploding stars called supernovae and galaxy clusters, and mapping out the distribution of galaxies in three dimensions. Measuring the brightness and distances of supernovae provided the first evidence for the presence of dark energy. WFIRST will extend these studies to greater distances to measure how dark energy's influence increased over time. WFIRST's microlensing survey will monitor 100 million stars for hundreds of days and is expected to find about 2,500 planets, with significant numbers of rocky planets in and beyond the region where liquid water may exist. This planet-detection method is sensitive enough to find planets smaller than Mars, and will reveal planets orbiting their host stars at distances ranging from closer than Venus to beyond Pluto. 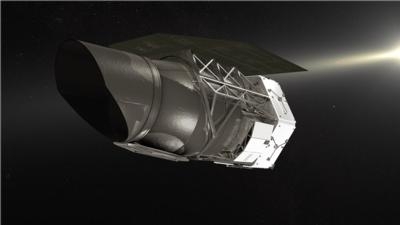 These results will make WFIRST an ideal companion to missions like NASA's Kepler and the upcoming Transiting Exoplanet Survey Satellite (TESS), which are best suited to find larger planets orbiting closer to their host stars. Together, discoveries from these three missions will help complete the census of planets beyond our solar system, helping us learn how planets form and migrate into systems like our own. The combined data from these missions provide insight into planets in the critical area known as the habitable zone, the orbiting distance from a host star that would permit a planet's surface to harbor liquid water — and potentially life. The mission will complement other missions expected to operate in the next decade, notably the James Webb Space Telescope, scheduled to launch in 2019. Webb provides a detailed look at rare and interesting objects, while WFIRST will take a wide look at the universe. WFIRST will also complement new ground-based observatories such as the Large Synoptic Survey Telescope (LSST) currently in development. By combining data from WFIRST and LSST, scientists will be able to view the universe in nine different wavelengths, data that will provide the most detailed wide-angle view of the universe to date. WFIRST is managed at Goddard, with participation by NASA's Jet Propulsion Laboratory and Caltech/IPAC, also in Pasadena, the Space Telescope Science Institute in Baltimore, and a science team comprising scientists from research institutions across the United States.